Last night we were privileged to be present for the launch of the latest version of the legendary Sky Moon Tourbillon ref. 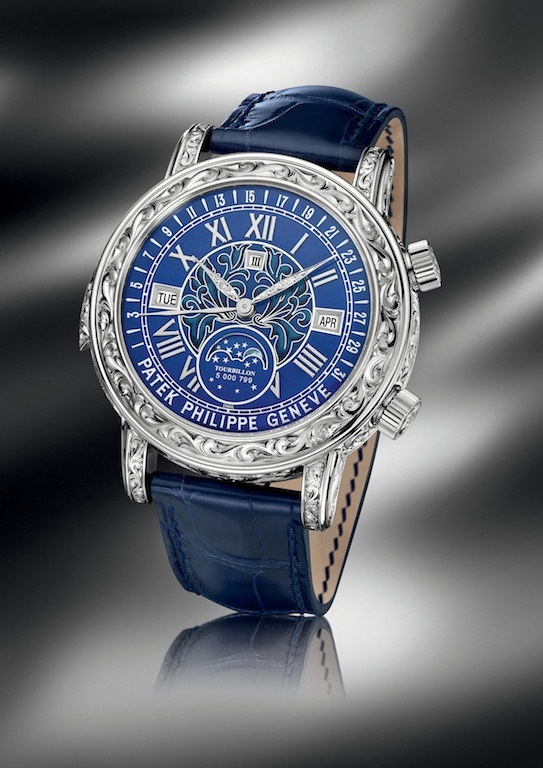 6002 from Patek Philippe. 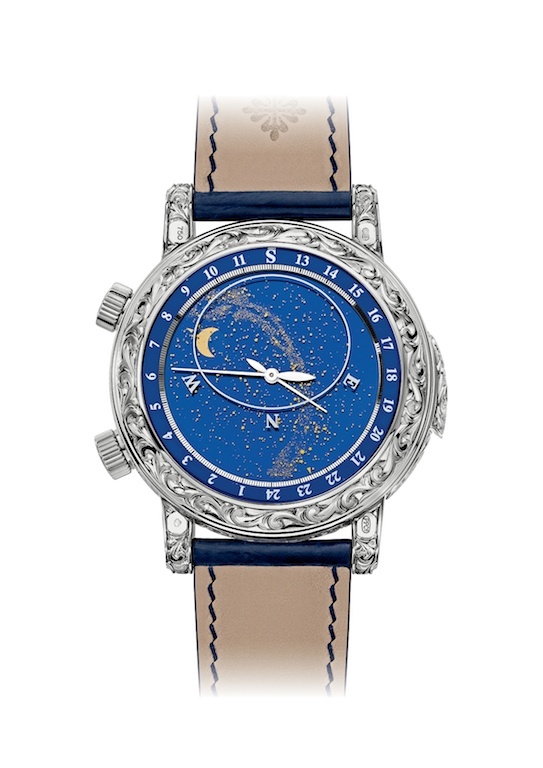 The most complicated wristwatch every produced by Patek, the Sky Moon Tourbillon features a perpetual calendar with retrograde date, a star map rotating once per sidereal day, and indication for the phase of the moon, and apertures for the day of the week, month, and leap year displays. 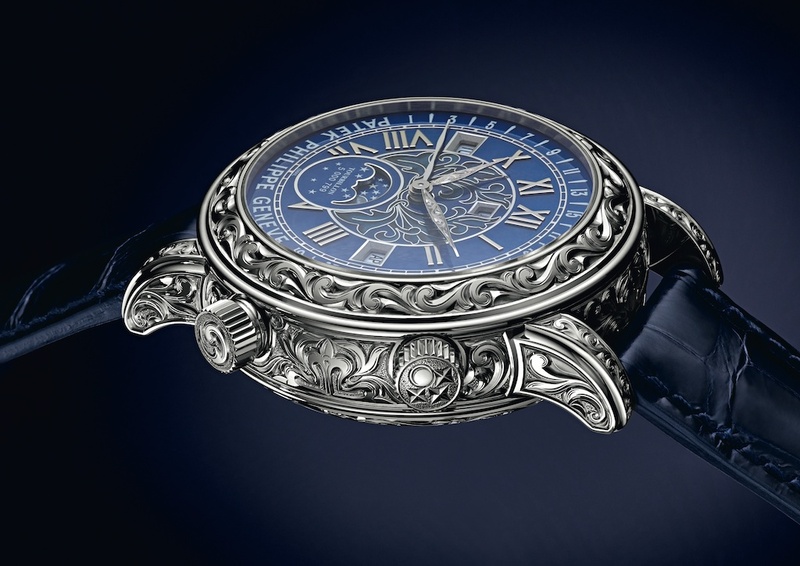 The watch is also a minute repeater chiming on two cathedral gongs, and is fitted with a tourbillon regulator. The most dramatic new aspects of the watch, however, are its lavishly decorated and richly engraved case and highly complex grand feu enamel dial. Patek estimates no more than 2-3 pieces per year will be made. We’ll be bringing you live pictures and full details of this incredible new jewel in the Patek Philippe crown soon.